Ages: Toddlers + and their Parents! ​Join us for FREE fun-filled thirty-minute interactive session that uses rhymes, songs, puppets, musical instruments, and more to stimulate the learning process of babies and toddlers. When: Wednesdays and at 10:30 a.m.
Ages: Toddlers and their parents! ​Bring your child and enjoy stories, interactive activities, music, and crafts! Encourages early literacy, word development, fine and major motor skill development and so much more!! The best of all, they will have fun! 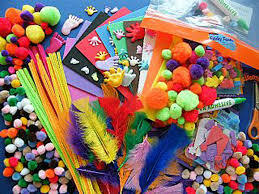 ​Unwind after a long day at school with crafts, stories and fun! Created for children in grades K-4. Begin the journey and complete the 1,000 Books Before Kindergarten challenge. Parents/caregivers pledge to read to their children about colors, shapes, animals, cars, nature and adventure with the goal that one day their children will be reading to them.